Trees are an invaluable addition to your property, and keeping them trimmed, disease free and healthy will ensure that they continue to add beauty as well as value to your landscape. Whether your trees have excessive growth, are diseased, block the view, or drop too many leaves in the fall, we work hard to provide efficient, competent, high quality service and offer the best possible solution to all your tree maintenance needs. 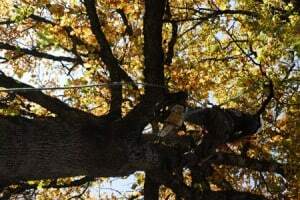 ArborPro Tree Experts has many years of experience and utilizes the most advanced equipment and up-to-date techniques. We keep you, your existing landscape, home and any nearby structures safe during the entire process. If you are in need of tree trimming or tree removal in Lake Oswego, ArborPro Tree Experts has the knowledge and expertise to deliver results to your specifications, without sacrificing quality. Regardless of the size of the job, we are capable of providing great service without overstepping your budget or time limit. Health Evaluation. Whatever your tree care needs may be, the professionals at ArborPro Tree Experts Tree Experts have them all covered. Contact us today at 503-473-8733.